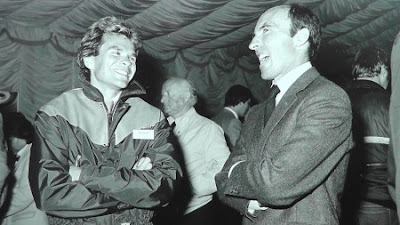 I’ve known Peter Windsor around 40 years, and have seen him blossom from a young man mad about cars and racing, into an expert Formula One commentator, team manager, driver manager, journalist, magazine editor, confidant of many high-powered F1 people, and a man who ‘followed his dreams’. 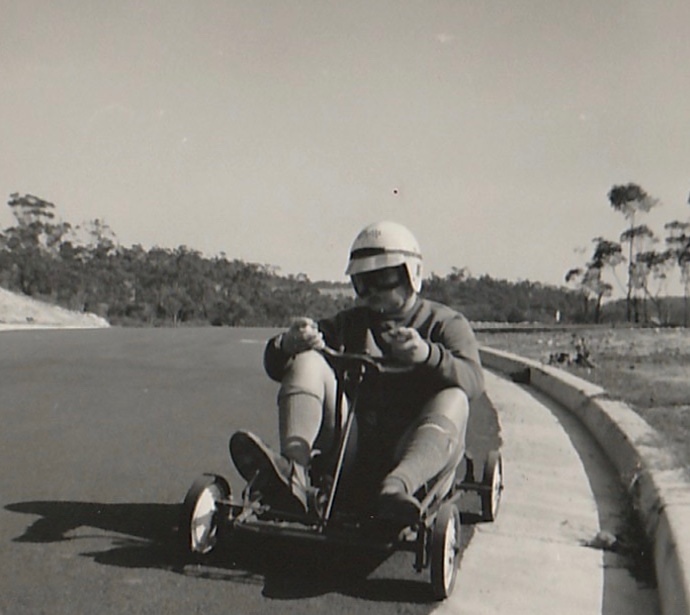 Today his confidence, commonsense and integrity stem from a life lived true to his dreams and aspirations – and never wavering from the direction he charted for himself back in 1969 when he joined the Australian Automobile Racing Club in downtown Sydney. The AARC was the organization which conceived, developed and successfully ran world class motor racing events on the Warwick Farm circuit, which was an international class motor-racing track built within and around the confines of the Warwick Farm horse racing track. 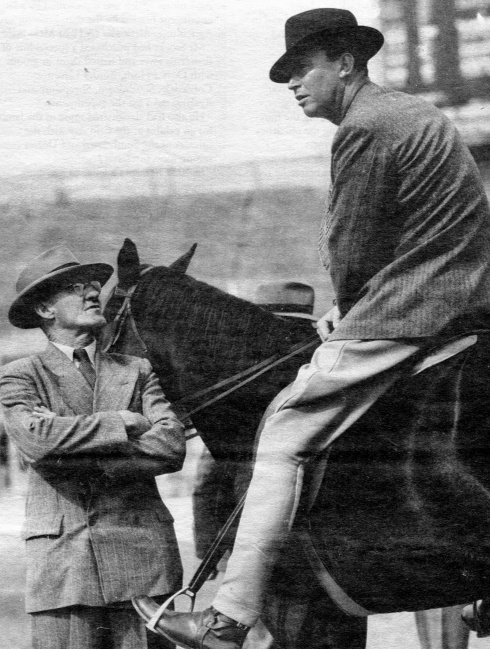 It was a difficult course to design and maintain, because it had to 'cross' the horse racing track in two places. This mean't two specially-designed, and bitumised 'crossings' had to be expertly-laid before each race meeting. A powerful Sydney horse racing identity, Sir Sam Hordern (right), urged fellow board members of the Warwick Farm track to consider building the circuit, and after that decision was made, he employed a quiet, but vastly-skilled motor racing administrator, Geoff Sykes, from the UK to run the venture. Geoff Sykes(top), Mary Packard & John Stranger (centre) and 'The Farm'. 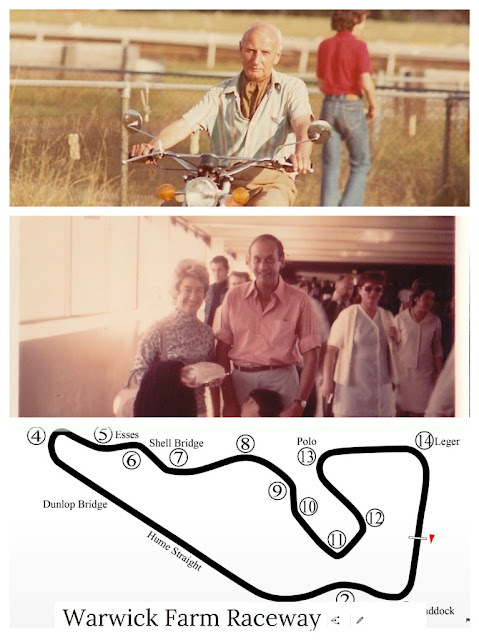 Sykes got into his stride quickly and within a few years had developed the successful Tasman Championship, where he enticed Formula One drivers to spend their European winters in Australia and New Zealand, racing current F1 cars which were then sold off to Aussies and Kiwis at the end of the Series. To put this show on the road, Sykes employed a team of TWO salaried employees, and hordes of volunteers. First was the General Manager, John Stranger, and then ‘Miss Everything Else’, the indomitable, but thoroughly charming and efficient, Mary Packard. Then there was this 13 year old who badgered Sykes into giving him ‘a job’ out of school hours – typing up race results, cleaning cars, addressing the mail and running office errands. That’s how Peter Windsor got his break, and he’s never looked back. Peter was born in Reigate, Surrey in 1952, but his family moved to Australia when he was four. He watched the 1963 AGP from the Paddock Bend grandstand when he was 10; and managed to con his father, or older brother to take him to every meeting after that. At 13 he became a flag marshal, and joined the AARC full-time in 1969. Over the previous six years he had also begun writing, for Australian Motoring News, and the 1971-2 Tasman race reports for Autosport. In 1971 the Windsor family vacationed in the UK, and Peter contacted every motor sport writer he could, finally having a serious conversation about a job with David Phipps. After the Windsor family returned to Australia Phipps offered Peter a job, writing under his name, for Autosport, Car Graphic, Autoweek and Autocourse. Peter set himself up in a tiny bed-sit in Bromley, Kent, bought himself a Suzuki 250 for commuting, and luxuriated in an annual salary of £1200. “I've basically been involved in motor racing ever since. I joined Competition Car magazine in 1974, and became Sports Editor of Autocar in 1975. I helped Frank Williams set up his new team in 1977, and joined Frank as Manager of Sponsorship and Public Affairs in 1985. 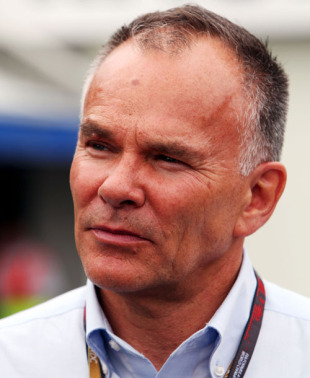 “I was General Manager of Ferrari in 1990, but returned to Williams as Team Manager in 1992. 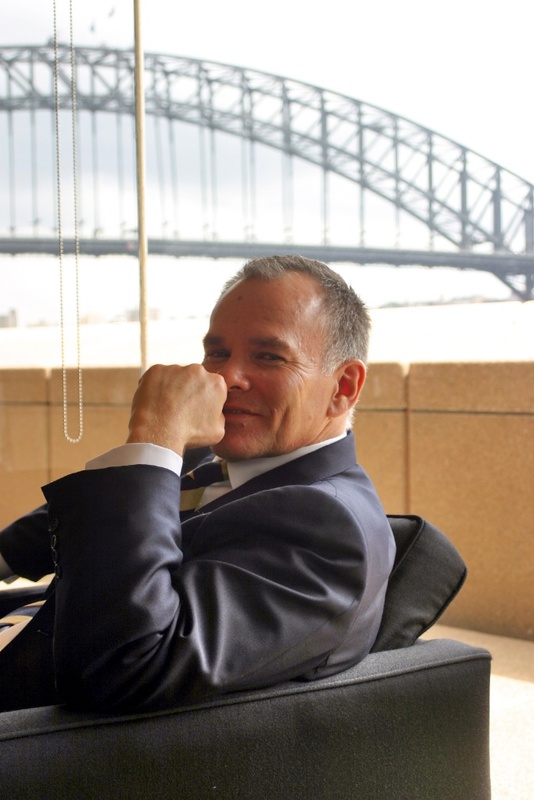 I then returned to the media, working as a TV broadcaster (FOX, Channel Ten, Sky), a journalist (F1 Racing magazine) and most recently as Executive Producer for Motorsport TV, where I also host, write, and run the sales team. 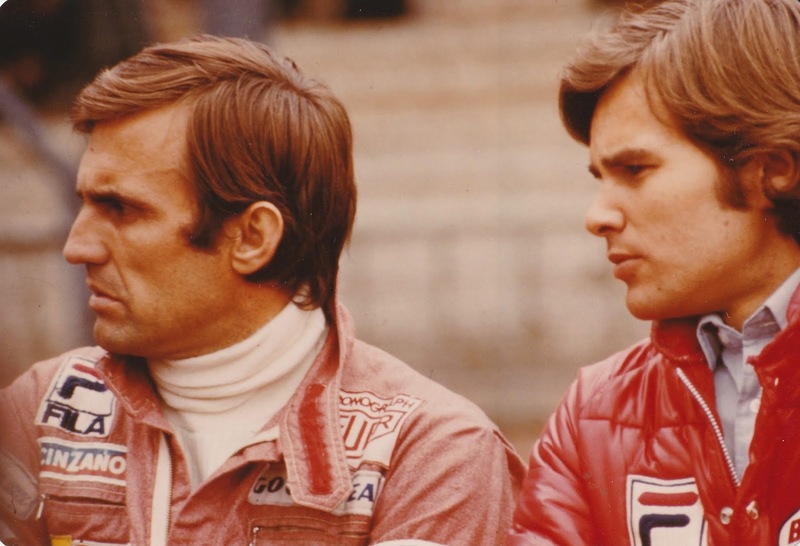 Peter Windsor also managed F1 stars Nigel Mansell and Carlos Reuemann, and even managed some podium finishes himself in Formula Vee and Caterhams. True to his enthusiast beginnings, he acquired two Lotus Elans, belonging to one of his heroes, Jim Clark. 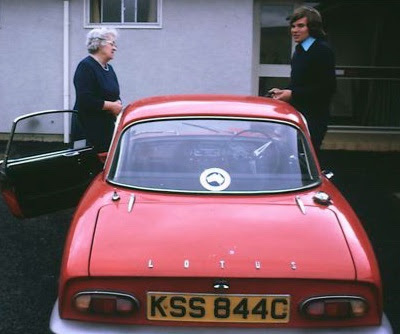 One (the red coupe), was owned by Jim Clark's mentor and manager, Ian Scott-Watson, which Clark drove many times between 1965-66. Later Peter managed to buy a bright yellow LHD coupe, which Jim Clark used, to travel between all of the European F1 rounds in 1967, when Jim was living in Paris. Peter now lives in London, with his wife Claudia and son Jack. I guess you’d have say that Peter Windsor is living the dream. To quote a common Aussie phrase of recognition and affirmation, Good on ‘yer mate!